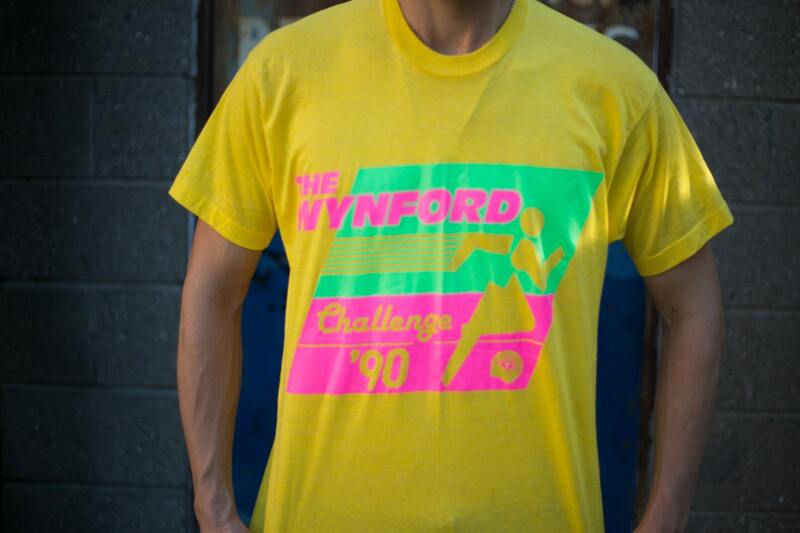 This is a very cool looking vintage men's Screen Stars T-shirt with The Wynford Challenge 1990 artwork. 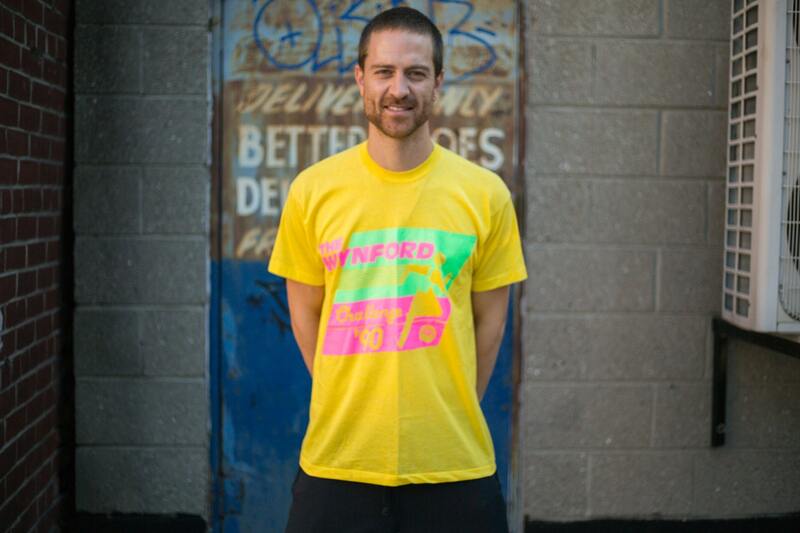 It is in a bright yellow colour with florescent pink and green. 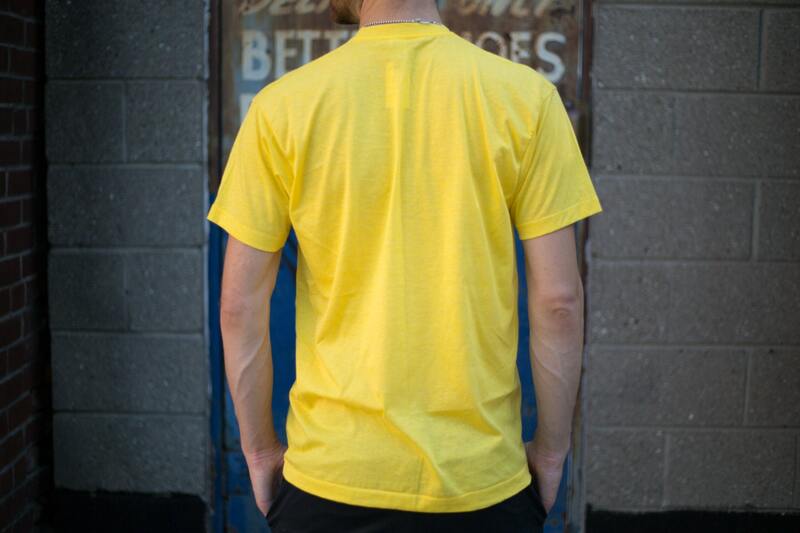 Size reads XL but fits a medium. 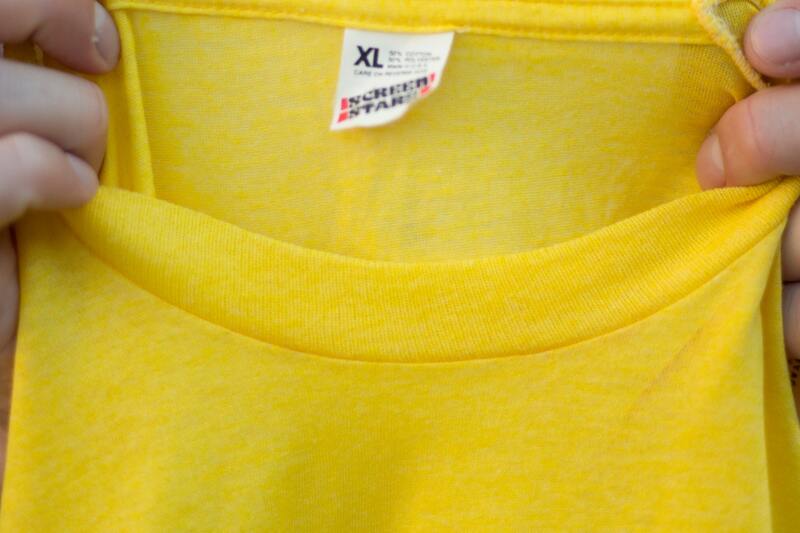 Tag reads XL but fits as a Large.